Clyde Nursery School in London has achieved the Inclusive School Award. The staff at Clyde Nursery School work very hard on behalf of their young people. Together with their Governing Body they have created a very inclusive school where all the children look happy and safe. The parents are proud of Clyde and know their children feel valued and respected. The children are strongly supported in all areas of the curriculum by passionate and dedicated staff ably led by a Headteacher who has a clear vision that the many services her staff provide for their local community are the best possible. She is well supported by a small leadership team who are dedicated to ensuring that the inclusive ethos is passionately applied. She is determined that all the children can and will make good progress, regardless of any barriers to their learning. The staff have made Clyde a warm, friendly and welcoming place. Everybody has a clear sense of purpose. The children are fortunate to have experienced and well-trained staff who are dedicated to ensuring that all their needs are fully met. The teachers, teaching assistants and early years’ practitioners use their imaginations to inspire the children’s learning. They have indoor and outdoor spaces that are exciting and fully resourced to stimulate their young, inquisitive minds. Visitors who enter the school are warmly welcomed at the reception. Children enter with smiles on their faces and immediately settle to play. Parents are happy to engage the staff to discuss their children’s learning. There is a sense of safety and calm. The school was inspected by Ofsted in May 2017 which rated it as outstanding. There are currently three classes, but this will reduce to two from September 2018. The leadership team want to secure Clyde’s future and work hard to ensure that it has a growing reputation both locally and nationally. Although attendance is not compulsory at this age, the staff work hard to ensure that it compares favourably with the national figures for primary age children. Children’s progress is instantly acknowledged, they are praised immediately with the reason explained. They are proud of their profiles and many submit work themselves. The staff have worked hard to make the outside area stimulating and varied. 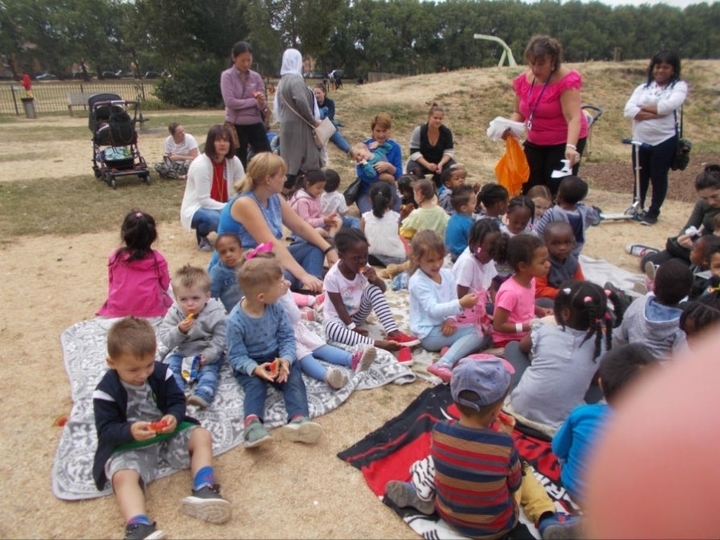 There are many different types of environment for the children to explore and play. The new sensory garden will add to this rich tapestry. The classrooms are well organised, the displays celebrate the children’s learning Children have lots of well organised and interesting activities from which to choose. The teachers plan the work according to the children’s interests, needs and desires. Progress is carefully monitored and recorded on Target Tracker and staff know immediately if extra input is needed. The school has lots of space which is well used, children can work in intervention areas which offer a quiet yet well-resourced space. Well trained Learning Support Assistants make valuable contributions to certain children who may need specified support. The Governing Body takes its work seriously and is deeply committed to the school’s inclusive ethos. ‘We don’t turn people away’. They monitor the process and have a deep understanding of their role. They strongly believe that Clyde Nursery School must provide for all children in the local area with a high standard of education regardless of any barriers. Parents feel that they are listened to and the school has fostered a real partnership ensuring both parties share the process of educating their children. The staff at Clyde are trusted by the parents who know the staff will do their best for their children. They are pleased, knowing that their children are so happy. Children who have certain needs are very well supported by the school and parents highly praise the school’s practice. The staff work tirelessly to ensure their needs are met and the families feel reassured. The professionalism of the staff is highly valued and appreciated by the community, who feel that children are fully supported in accessing all that the school has to offer.